Striped polo shirt in ecru and navy with short sleeves on the theme of Rugby at the Beach. 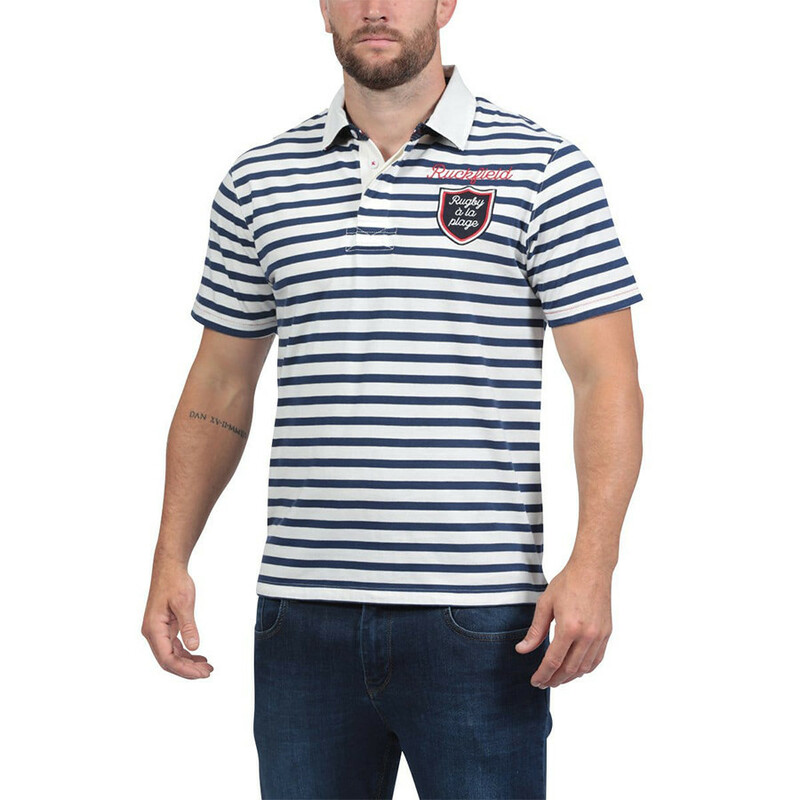 This ecru and navy striped polo shirt has a straight cut, a blazon on the chest and an embroidered "Rugby à la Plage" inscription on the back in red. Column collar and lapel collar contrasted by a modern printed fabric. Slots listed. The half-button placket is contrasted white. This Jersey cotton polo is perfect for the summer season.